Word of mouth has basically gone the way of the dial-up Internet connection when it comes to getting information about a business. Today, every savvy Web surfer is bound to read a whole lot of online reviews before contracting a service, going out for a meal, or shopping for goods. Most everything we look for is found on the Internet, including feedback. Reviews and ratings can be great for business when they're honest and well intended. But, what happens when competitors post fake reviews to malign the competition? 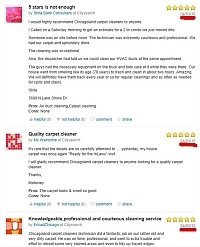 When those reviews are posted on Google Places, they are there to stay. Currently, Google has no policy in place to remove false reviews and they are causing a lot of headaches for many businesses, along with damaging reputations to the point where sales start declining. 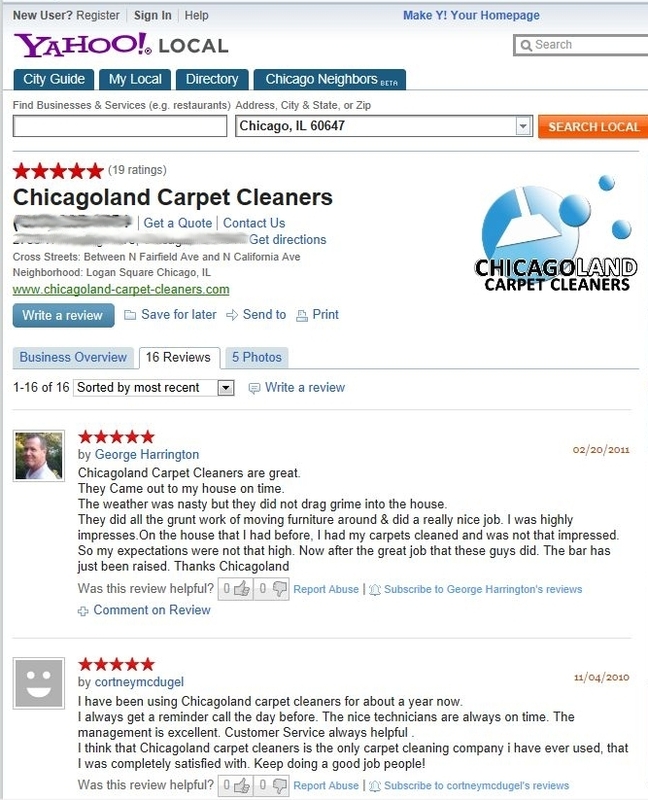 Google not only allows users to post reviews to their listings, they also add reviews from other outlets, like Yelp. The difference is, if a user posts a review on Yelp, those reviews can be modified or deleted - for a price. Yelp has been known to agree to take down damaging or false reviews in exchange for advertising. 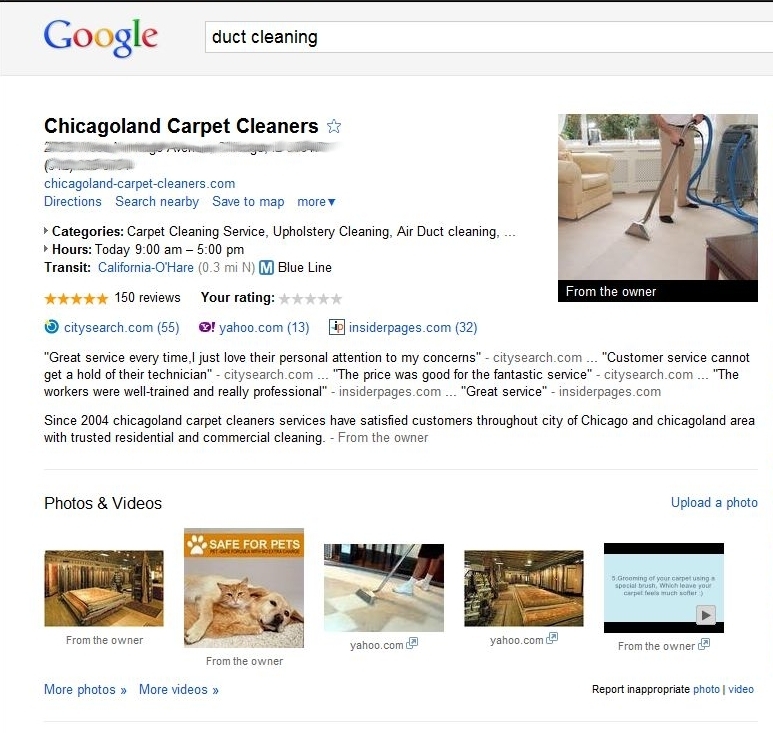 Google, however, leaves reviews in place no matter how damaging or dubious they are. Not only can users go to town and slam a business for sake of slamming, competitors can indulge in the same activity. It doesn't matter where the review comes from, it can grow roots and hang around indefinitely. 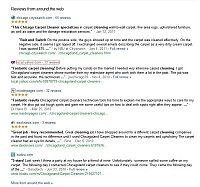 To illustrate the point, here are images of some blatantly false reviews we found on the search engines (CMS Buffet is in no way affiliated with the business; the images were chosen to prove our point). 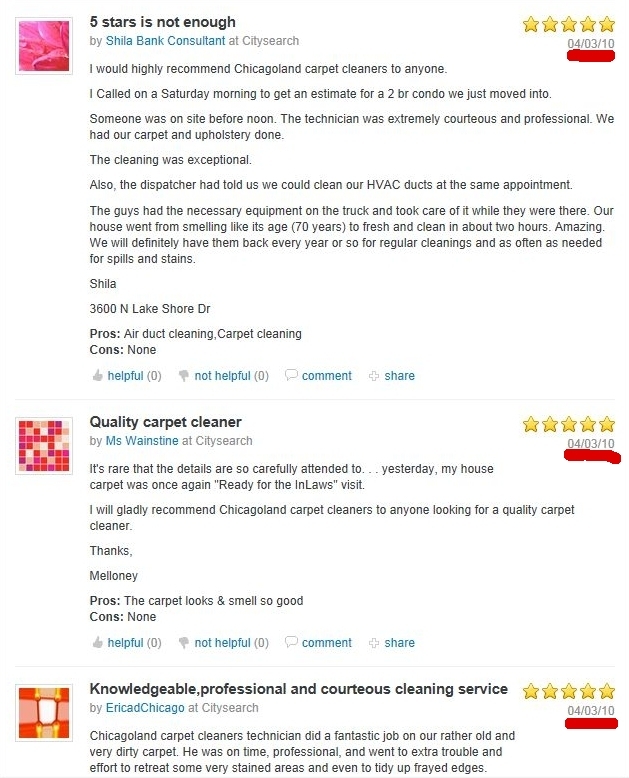 You can easily spot the irregularities: all five star reviews; all entries posted on the same day; clients reviewing the company who don't live in the area. These are obvious indications that the reviews are false. 150 reviews, Average 5 start. WOW! Eric has 1 review in his whole life. 3 different customers, all on the same day. WOW! Either the algorithms are not doing their job, or the reviews and ratings are not being monitored to account for these "irregularities". 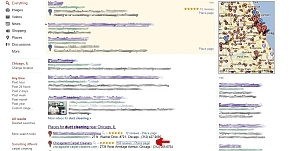 If Google is so insistent on original, quality comtent in order to receive a ranking on its search engine, then they should be equally as concerned about the quality of reviews left for businesses within their Google Places categoy. 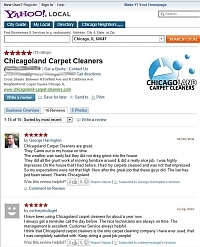 Check your online reviews periodically. Keep an eye out for suspicious entries that are not within your market. If a client has a legitimate complaint, do everything in your power to correct the problem. Keep in mind that satisfied clients tend to remain quiet; complaints are usually shouted from rooftops. Word of mouth might be diminished but it still exists. Satisfied clients will still refer business offline. Do not retaliate by posting negative reviews on your competitors' sites, even if they do it to you. 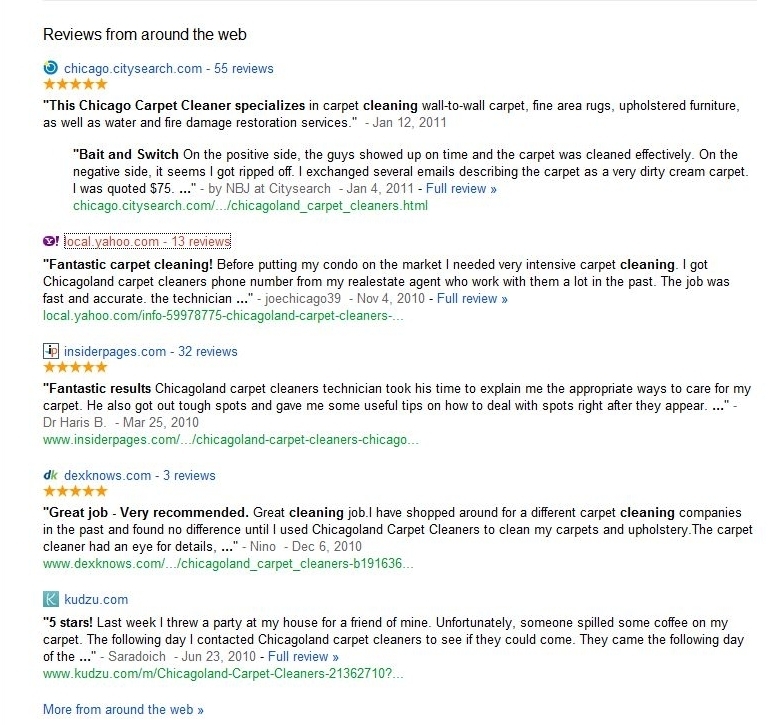 Do not post fake reviews about your company to your own site. 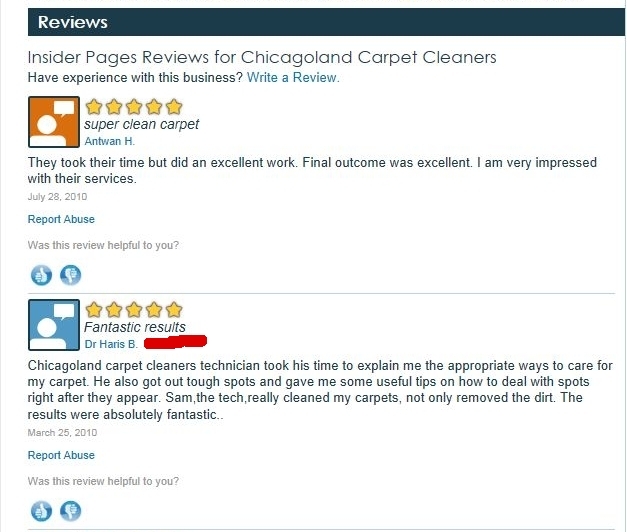 Encourage satisfied clients to post positive reviews in their own words. Make the comment posting process as quick and painless as possible. Clients don't want to be hassled. Be courteous and nice. A business owner rarely wins a battle with an irate customer. Burning a bridge is a bad idea; even if a customer is dissatisfied now, they might surprise you and come back, especially if the complained is rectified to their satisfaction. Remember to keep your response professional, and be as succinct as possible. Keep it professional. Always keep in mind that this is business; it's not personal. Negative feedback does not reflect personally on you, it is a reflection of your business. Feedback, regardless of whether it is positive or negative, is always helpful. There is always room for improvement; learn from those customer comments that are less than positive, so you won't repeat the same mistake in the future. 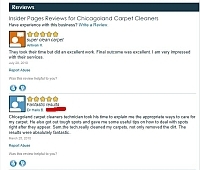 Always include a "thank you" to the customer for taking the time to write a review. Don't try to sell. The reviewer is already a customer, so mentioning current sales or incentives can look smarmy. Never spam or post links to inappropriate content. Do not post material that violates copyrights or intellectual property guidelines. Do not impersonate another person or misrepresent your identity. Do not use your comment forum as a place for advertisements. Never use your clients to create links. Link building can be accomplished without exploiting the online presence of your customers without their permission. 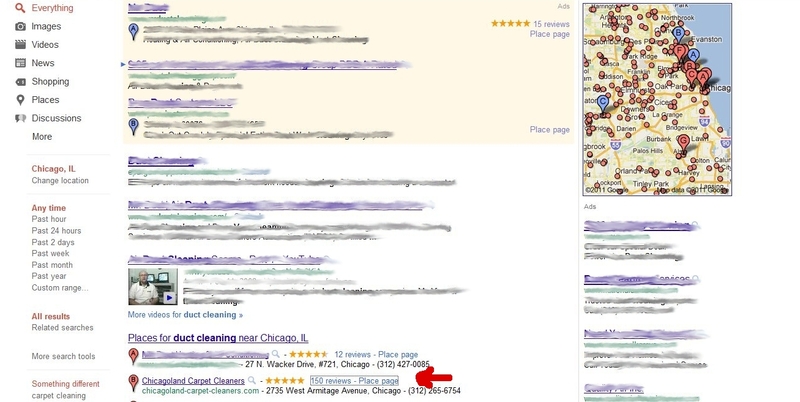 Google needs to be accountable to the businesses that advertise on Google Places. Until that happens business owners need to remain vigilant in order to protect themselves. Let's face it - we need Google more than they need us and we must play by their rules. Find out how you can deal with negative reviews without sacrificing your online presence or your business. Ask a Toronto Search Engine Marketing consultant for help.